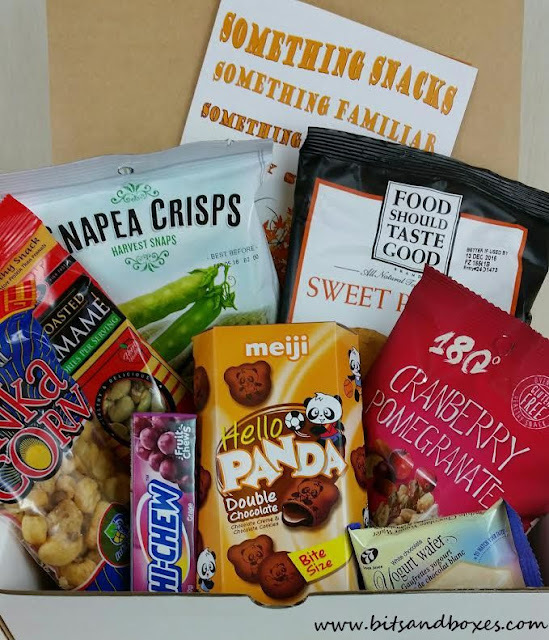 Something Snacks is a snack subscription box that sends seven tasty snacks to your door. 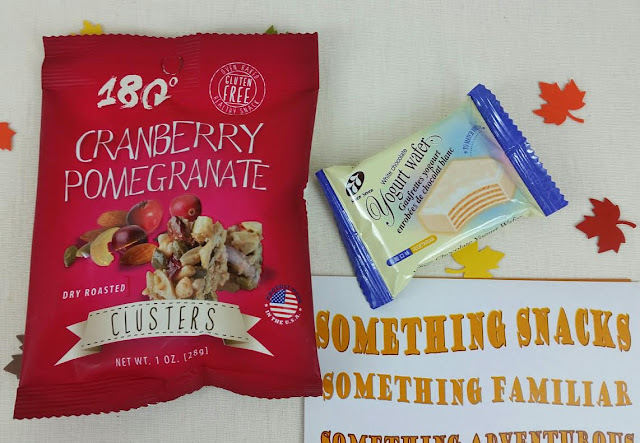 Their motto is "something familiar, something adventurous" and you'll receive some healthy, some not-so-healthy and some strange snacks in each box. I've been enjoying my boxes and I'm glad they don't only send healthy stuff. 180 Cranberry Pomegranate Clusters- These are tasty! I ate them all and didn't share. 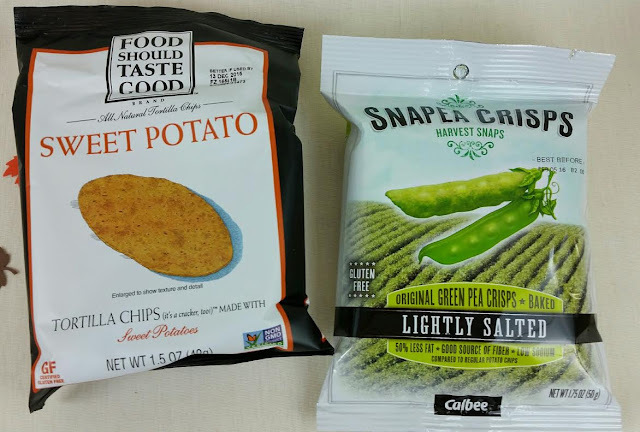 Food Should Taste Good Sweet Potato Tortilla Chips- My husband loves sweet potato stuff so he got these. Snapea Crisps- These are pretty good but I like the flavored version better than the lightly salted. I think these are made with pea flour. They're not actual peapods. 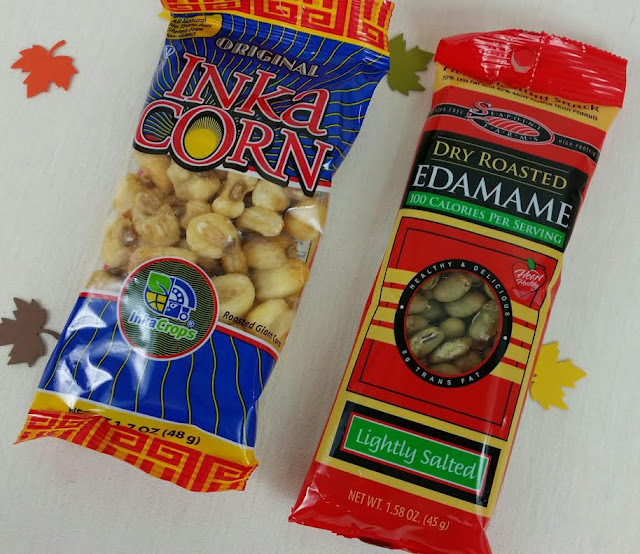 Inka Corn-While this brand has appeared before in Something Snacks, this product has not. It's giant corn nuts. Unfortunately, when I opened them, I exploded the bag all over the floor. Whoops. They're decent but nothing spectacular. The dogs wouldn't eat them which meant I had to pick up every one that I dropped. Haha! Dry Roasted Edamame- Soy and I do not get along so these were snarfed by my husband. He liked them so much he actually told me later that they were delicious. Normally he doesn't comment unless I ask him. Hi-Chew Grape Fruit Chews- These are Japanese fruit chews, They're sort of like Starburst but not. I really like them but not in Grape. 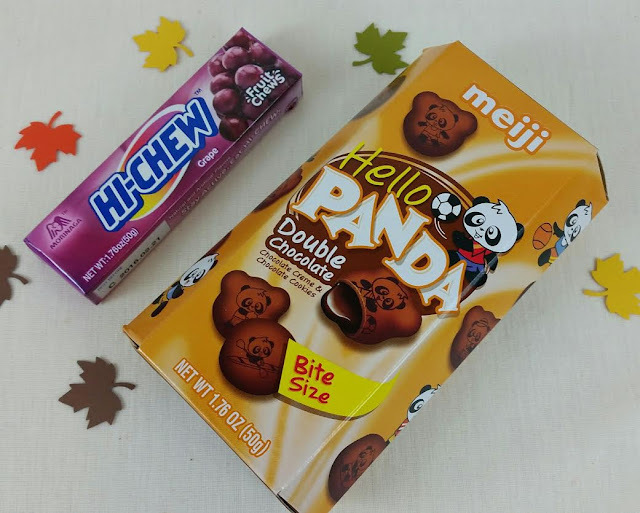 Meiji Hello Panda Double Chocolate- These are tasty and fun. I like these in the regular flavor but have never had the double chocolate version. VERDICT: One thing I like about Something Snacks is that there is always a nice mix of sweet and salty. I'm a big fan of both and probably lean more toward salty, crunchy things over chocolaty and sweet. If you would like to sign up for Something Snacks, you can do that here. Use code BITSBOXES2 for $5 off your first box! If you sign up now, I believe you'll start with this exact box. It will say on their website which box you'll be getting so keep your eye out.